The Senate will this week vote on the proposed amendments in the report submitted by the Senator Ike Ekweremadu-led Committee on the Review of the 1999 Constitution. SUNDAY ABORISADE writes on the likely implications of this exercise. As it is to be expected, senators expressed divergent views when the Senator Ike Ekweremadu-led Senate Committee on the Review of the 1999 Constitution submitted its report in the form of a bill. According to Ekweremadu, the bill titled, ‘An Act to further alter the provisions of the Constitution of the Federal Republic of Nigeria, 1999 and for other matters connected therewith, 2013’, is aimed at among other things, strengthening the legal framework for processing a new constitution. Nigerian Politician, Jimi Agbaje, believes that the 2010 amendment of the country’s Electoral Act is not entirely a bad law but that the challenge for Nigeria remains how to implement the laws. Jimi Agbaje was a guest on Channels Television’s ‘Politics Today’ on Sunday, April 6. The Peoples Democratic Party and the All Progressives Congress have resorted to accusing each other of supporting insurgency as a political strategy ahead of the 2015 general elections. 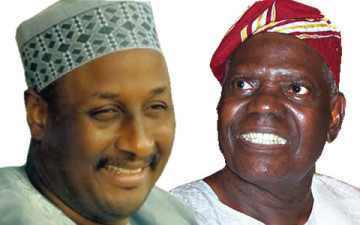 The fight for supremacy between the Peoples Democratic Party and All Progressives Congress in the 2015 elections has taken a new dimension. The two biggest political parties in the country have resorted to tossing allegations at each other over the lingering insurgency by the Boko Haram sect in the North-East. 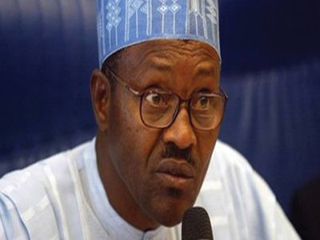 The All Progressive Congress (APC) may have decided to settle for former Head of State, General Muhammadu Buhari, as its presidential candidate in next year’s election. The hope that Nigeria will hold a successful transitional election next year will go up in smoke, unless the Attahiru Jega-led Independent National Electoral Commission (INEC) gets its act right with the two governorship polls coming up in Osun and Ekiti states later this year. 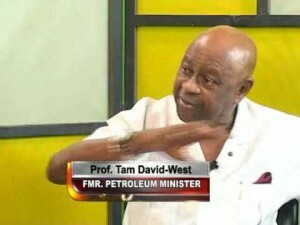 This is the submission of former Petroleum Resources Minister, Prof. Tam David-West, in an interview he granted The Sun on the state of the nation. At the National Youth Conference to 2015 Elections organised by UNDP/DGD via YIAGA, The INEC representatives made mention of elimination of snatched box from election collation results, upon reading INEC’s “2014: Electoral Tasks Ahead” which mention the same Security feature, I begin to ponder how the EMB is tackling the issue of Security of systems and processes during/towards the upcoming General elections. Due to the effect this write-up may generate, I will give a brief of how things can go as unexpectedly only based on the above “EMB Fact”. for any further details contact me below.